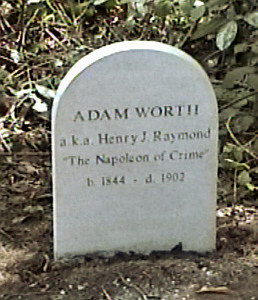 Adam Worth was born of German Jewish parentage. He learned hard lessons of life and crime on the streets of New York in the mid-19th century. Worth chose to live in London borrowing the identity of Henry Judson Raymond - the deceased editor of the New York Times. 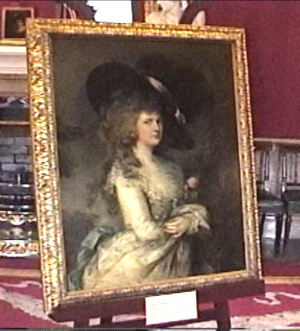 Worth's most famous theft was of the Gainsborough painting - the Duchess of Devonshire. In the late 19th century the Duchess was the most famous painting in England partly because of the artistic work and partly because of her lurid sexual past which enticed the Victorian mind. Worth became intensely infatuated with the painting and carried the painting with him for thirty years until eventually surrending it to the Pinkerton detective agency. The painting became part of the J.P. Morgan collection (U.S.) and was sold back to the Duke of Devonshire in the late 20th century. The Duchess is on display at the Duke's estate in the North of England today.